Here are some facts about Poland. 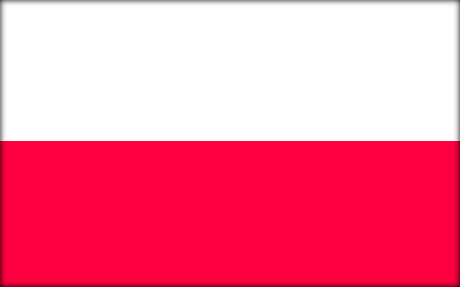 Poland is a country in Europe, with a population of about 38 million people. The country is Europe’s 9th largest, and is bordered by the Baltic Sea and the Czech Republic, Slovakia, Ukraine, Germany, Belarus, Russia and Lithuania. Warsaw is the capital and largest city with about 2.6 million people. It is known for its parks and gardens, its historic Old Town, and the Powazki Cemetery, one of Europe’s oldest. Poland’s oldest recorded ruler is Mieszko, during the 10th century. Between 1600 and 1945, the country has been invaded and fought over at least 40 times. Poles have the largest households in the European Union and they also marry at the youngest age. Polish people think that their name day is far more important than their birthday. Famous Poles include the 15th century astronomer Copernicus who stated that the sun was at the centre of the universe. The popular composer Chopin was also born in Poland. Poland has over 9,000 lakes, and about half the country is used as farmland. Poland’s highest point is Mt. Rysy at 2,499 metres, located in the Tatra Mountains. Much of Warsaw was heavily bombed during World War II and then rebuilt after the war. During the war, an estimated 50,000 Poles were killed by the Germans for helping the local Jewish population. The Polish alphabet has 32 letters. The Polish language is considered to be one of the hardest to learn because of the large number of consonants. Marie Curie, the Nobel Prize winning scientist, was born in Warsaw, Poland in 1867. Europe’s oldest restaurant, dating from 1275, is in Wroclaw, Poland. The majority of Polish people are Roman Catholic.